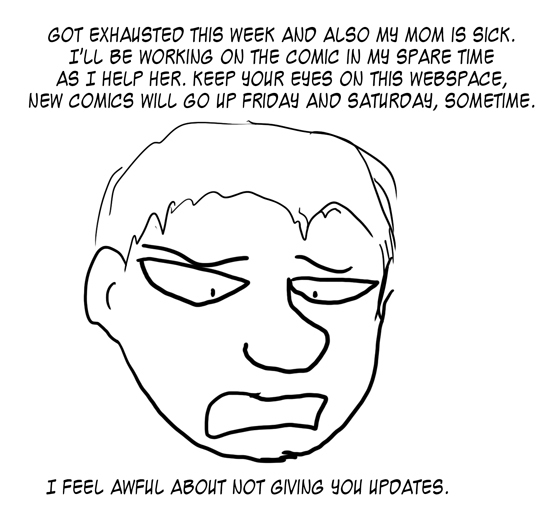 The OTHER reason it’s late is because the next comic I had ready to go…I deleted it because I had a much, much better idea of how things ought to go afterwards and so I needed to redo it. Sorry. GRRRRRGH I am FAILING YOUR EXPECTATIONS! Don’t feel awful – do what you must, then do what you can. Well put. Take care of your mom, Speedball – we’ll be here. Good luck with that! We all understand perfectly well, and you have our sympathy.